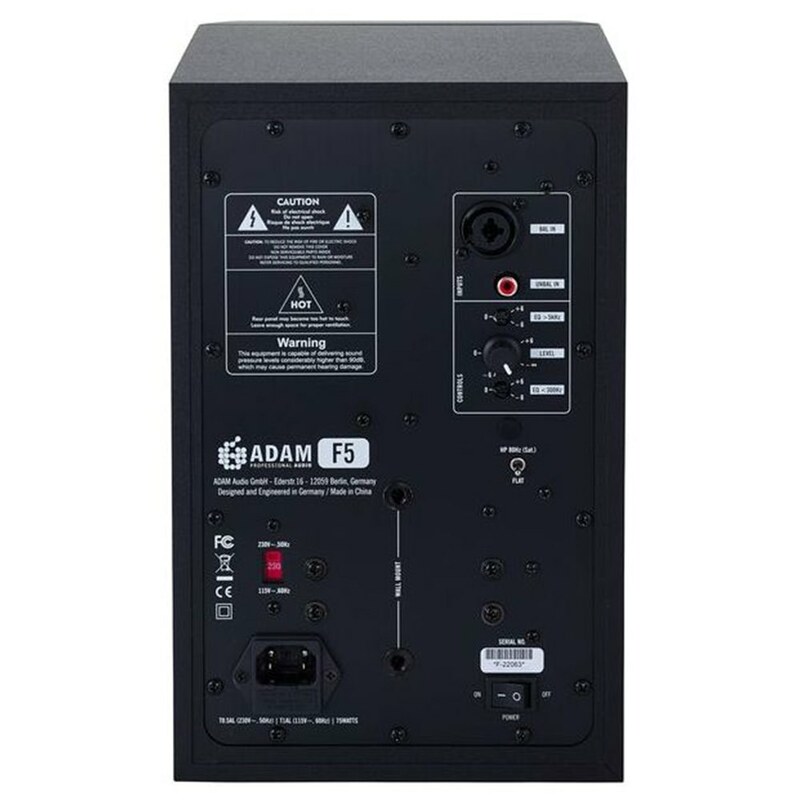 The ADAM F5 isdesigned for smaller listening environments, but despite its size is still capable of delivering deep and tight low frequencies. 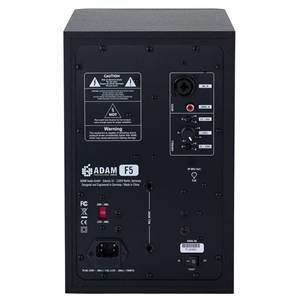 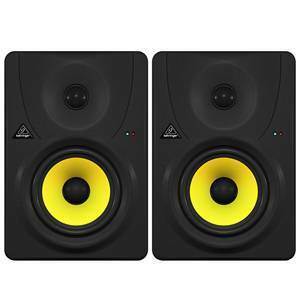 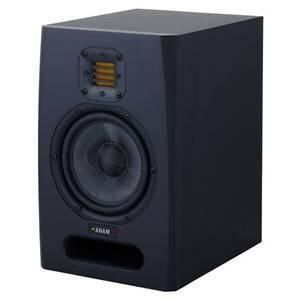 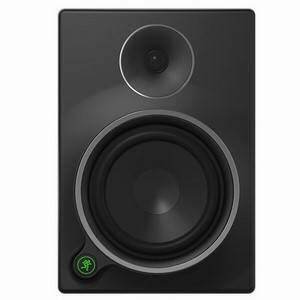 The F5 features a redesigned version of ADAM's acclaimed ART ribbon tweeter to reproduce high frequencies with the airiness, clarity, and detail ADAM is famous for. 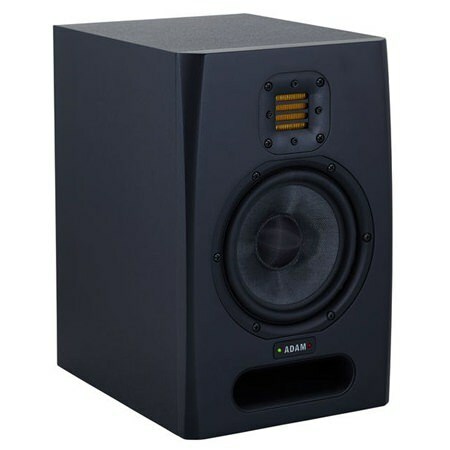 ART tweeters have a high efficiency (approximately 92 dB/W/m), a perfectly linear impedance, an equally perfect phase response, excellent directivity characteristics and a superb power handling capacity. 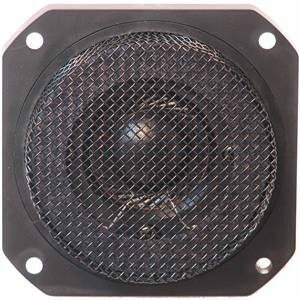 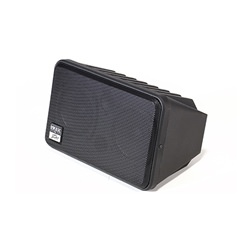 The 5" woofer is made from carbon and paper and has a 25mm voice coil, designed to seamlessly integrate with the tweeter's performance. Several controls on the rear panel let you adjust the Adam F5 monitor to the listening environment, these include 2 room EQs for both the high (>5 kHz) and the low (<300Hz) frequencies, as well as a dedicated volume knob. 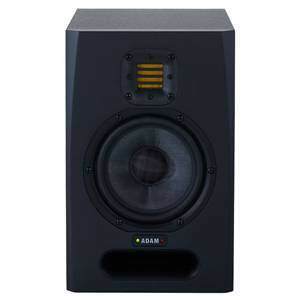 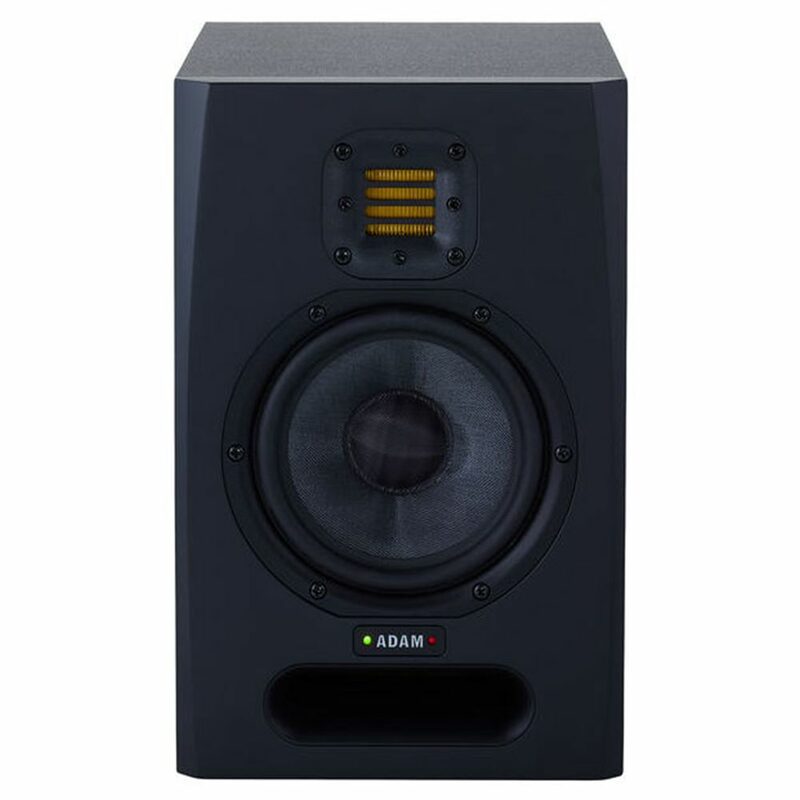 The Adam F5 brings you the essence of Adam speakers at a new, lower price point.